I’ll admit it right up front. I’m prejudice. Totally. Completely. That didn’t stop me from blogging about what other people had to say about WordPress and other blogging tools over this past year. 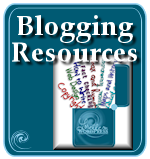 “Blogging platforms”, “blogging tools”, “blogging programs”, and “blogging systems”. Whatever you call them, these are all a form of self-publishing that fall under the category of “blog”. For the most part, they are usually referred to as “blogging tools” when you use the full version on an independently hosted website/domain that you pay for. When used on a hosted site, such as blogger or WordPress.com, they are referred to as a “blogging service” or “blogging host”. One year ago, when WordPress.com crept into the market as a new multi-user form of WordPress, it wasn’t considered a threat to the blogging service competition. After all, why would anyone want to switch from the free version of WordPress, a do-anything-you-want-and-will program, to a free version of WordPress, a limited, blogging-only blog? What was the point? The point was clear. Anyone can blog. It’s easy. And WordPress.com made it even easier. It didn’t take long for a few to jump into the “Will WordPress Rule the World” band wagon. My article called “Will WordPress Beat TypePad, MT, Blogger, and all the rest?” struck a cord in many, mostly those who never thought that WordPress was a contender at all, and that WordPress.com was just a testing ground and not serious. Many liked my photography film analogy as a good indicator for the future of blogging programs. Competition over film led to a complete revolution in how we think, take, and use photographs. In less than 30 years, photography is completely different. I remember my mother’s excitement at her first Polaroid camera when I was a child. She saved and scrimped to buy it for the thrill of instant pictures of us as we grew like weeds. Now, she tosses a small digital camera around off her wrist to grab pictures of her grandchildren, also growing like weeds, which she emails around the world to friends and family. The competition for blogging tools will be the same. WordPress will come up with something awesome. Then TypePad will have to meet it or beat it. Then Blogger, and so on. WordPress will come slamming around from behind with another tweak or tool to blow the others out, and again, the developers will jump into the fray. No matter who pulls what tricks out of their hats, if you are a blogger or have a website, sit back and enjoy the ride. 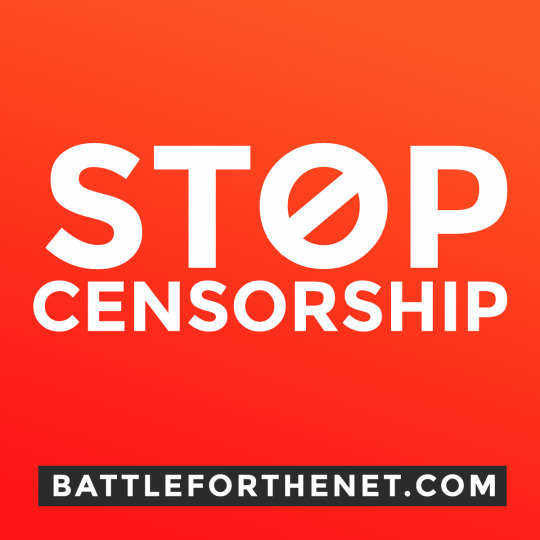 The face of the web is changing fast, and we are going to get all the fun and benefit from competition. This year has been a year of competition and innovation. And bloggers have benefited, of that there is no doubt. The poorly named but popular Widgets swept in, allowing customization of sidebars and various blog design elements. While WordPress.com only has a few so far, and Typepad has dozens, the competition is on to make this technology even more flexible and powerful, as we see with the new Canvas and Sandbox WordPress Themes. I believe WordPress.com will hit 1 million users in the next few months, possibly before December, and then the blogging platforms of the world will shake in their boots and the competition will really get serious. 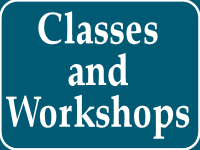 Besides talking about how WordPress and WordPress.com are challenging other blogging services and tools, I also talked about what others were saying about their various blogging services and tools, including comparing them to WordPress. I would have liked to have posted more reviews and analysis of various blogging tools, but I found many of these so-called reviews aren’t very specific or clear. They tend to list features as pros and cons without explaining what these features are and how they help or hinder the blogging process. “Easy to use” doesn’t mean much to me as does “clear and easy to use and read interface with few distractions allows fast posting to your blog”. While not as specific, it helps clarify what “easy to use” means. When I’m reading a review, I want specifics. Many reviews weren’t very technical, judged on feelings and enthusiasm rather than technical specifics. Still, I found a few that helped people understand their options. I also had a problem with a lack of clarity when reviewing different products. I know there was a lot of confusion over WordPress and WordPress.com at first. Many reviews started comparing WordPress.com with full blogging tools, while others reviewed the full version of WordPress as if it was WordPress.com against other free hosted blogging services, putting apples with oranges. For these reasons, I wrote “What Can You Do With WordPress.com” and “What’s the Difference Between WordPress and WordPress.com” to help people understand that while they are the same in many ways, they are also very different. As with everything, you need to use the right tool for the right job, and one size doesn’t fit everything. Now there are two choices. Which begs the question: How do most people really choose their blogging platform and service? How Do Most People Choose Their Blogging Platform and Service? People choose the blogging service their friends use. 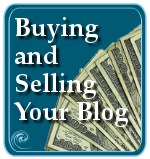 People choose a blogging service because of what they can’t do more than what they can. Peer pressure still wins. The more of your friends that are on one service, the more likely you are to be swayed by their presence. Few actually choose a blogging tool because of the community of users, but if they discover the social networking community after they are using it, they tend to stay longer. Friends keep friends with friends. The second reason is more complex. I used to think people made choices because of what is possible, not because of the limits. WordPress.com proved to me that people make choices because they don’t have to pay money and they can “try before they don’t buy” to see if they like WordPress and this “blogging thing” without getting into trouble. If they can’t get into trouble, don’t have to mess around with things, especially code, and it doesn’t cost them anything, what the heck, why not? I’d love to feature more indepth blogging platform and tool analysis and reviews, so if you hear of any, please let me know. In the meantime, here are a few highlights of the analysis and reviews, as well as the competition between blogging tools over the past year. What Influenced Your Blogging Platform Choice? WordPress versus Movable Type: Choosing a Winner? What Blogging Tool Do You Use and Why? 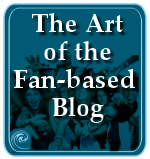 This entry was written by Lorelle VanFossen and posted on August 20, 2006 at 1:59 am and filed under Blog Babble, Blogging, blogging tips, Web Wise, WordPress, WordPressDotCom with tags wordpress, wordpress.com. Bookmark the permalink. Follow any comments here with the RSS feed for this post. Post a comment or leave a trackback: Trackback URL. WordPress. Rules. Totally! How’s that for prejudice? 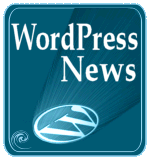 I began with Blogger in Dec. 2005 but switched after a month, when I saw WP. Honestly, I simply switched because of how it looked. I often go for look and feel over true usefulness or operability. It’s cool that we can all learn from each other via social networking. 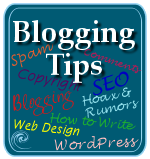 I look forward to reading more of your “tips and tricks” on blogging.